Making a Will is one of the most important things you can do for your child or loved one before you die. It offers legal protections in a way no other document can and ensures your assets transition seamlessly to those you love most. 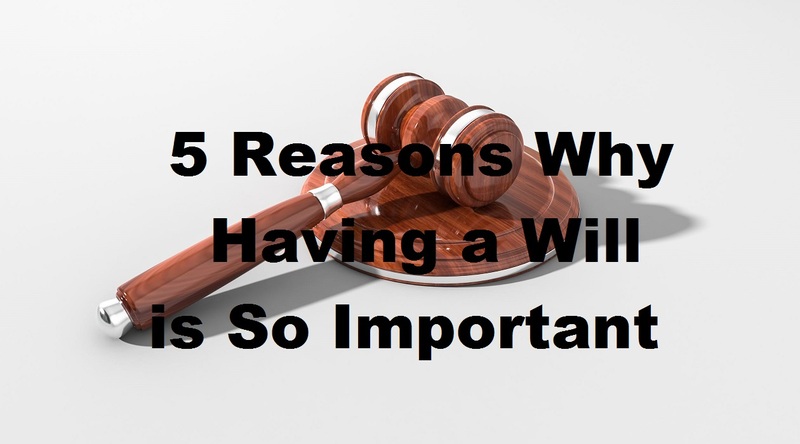 Without a Will, your estate, including your house and finances, are dispersed according to local state laws. This could mean subjecting your loved ones to a lengthy battle with the probate courts. The good news is that making a Will couldn’t be simpler. Head to Suzanne R. Fanning for more information. Presumably, you have paid some though to where you want your assets to go after you die. To have these wishes respected, they must be contained in a legally-binding document, like a Will. Without having your wishes committed to a Will, the state will distribute your assets in accordance with their laws. This can cause rifts in the family and result in ugly legal battles. Producing a Will minimizes ambiguity and gives you the ultimate control over where your assets go after you die. Making a Will should be a priority for parents with young children. Your Will will provide clear instruction on who is to become your children’s legal guardian in the event of both your and their other parent’s untimely death. If you do not have one, again, the state will make that decision and your wishes will not be considered. If you own a business, your Last Will and Testament (alongside any living Trusts) can ensure that your business goes to the family member (or co-worker) who is best able to manage the company. More than 70% of small businesses fail after the founder passes away. This is because most business owners fail to plan sufficiently for their death and the business is passed to those who cannot keep the business alive. Additionally, a Will can help minimize the taxes your loved ones will pay on your estate. There are mechanisms that can be put in place to reduce the estate tax your family will pay on your assets. However, without a Will, these cannot be implemented. Above all, a Will makes a very troubling time for your loved ones a little bit more bearable. Instead of spending time going over nitpicky details with lawyers, a Will offers certainty in an uncertain time and reduces the legal paperwork your family will have to handle at this difficult time. The loss of a family member is always difficult. Everyone responds to grief in their own way and there are few certainties available. A Last Will and Testament offer a glimmer of certainty in a pool of doubt and sadness. This will be of comfort to many. For more information, contact a legal advisor who specializes in estate laws. They will be able to help you create a will and offer advice on how to protect your loved ones following your death.